The used car salesman is a social stereotype that simply won’t die. Because some people will always try to sell you dodgy motors. 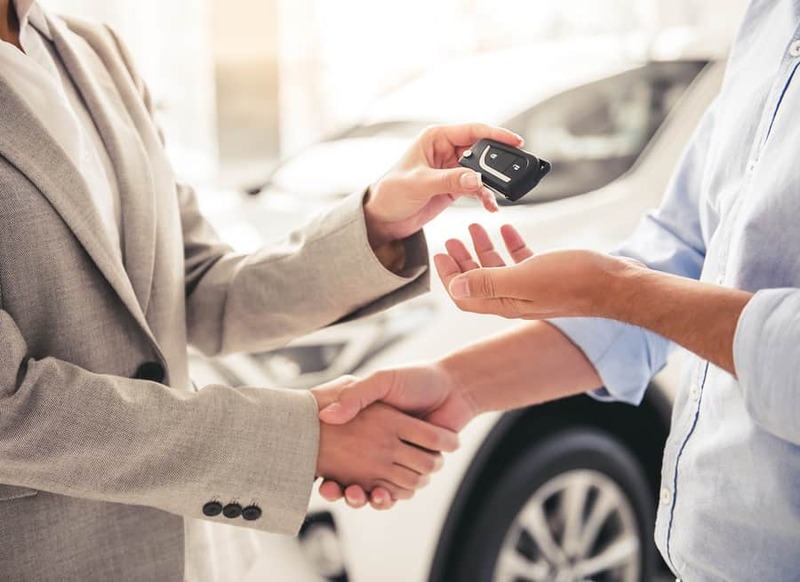 Even though the used car lot is now a place where you’re more likely to find a good car due to online reviews and testimonials curtailing some of the more outrageous behaviour, many of the dodgy selling practices have migrated into private sales. What are some of the more common nefarious practices? What should you avoid and what’s a big no-no sign? In this article we go through all the danger signs that come coupled with a whole load of distraction and mistruth. This one’s the oldest trick in the dodgy dealer’s book. Everyone remembers the famous scene in Ferris Bueller’s Day Off when the kids try to wind the miles off a vintage Ferrari by leaving it in reverse. You might think the days of trying to wind down the mileage on a car are over with the advent of digital displays – but think again. 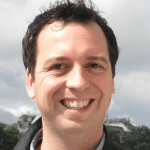 Cheap software and underhand practices allow unscrupulous dealers to literally put back the clock. Dealers have access to several instruments that were originally designed to correct errors and issues in the odometer. These can be used to manipulate the miles and help a car appear less used. Check that the log book matches with the mileage. Cars roughly do 10,000 miles per year as a rule of thumb. If the last service was a long time ago then this might be a red light. With older dashboards look out for heavy stone chips or cracks to the unit, coupled with numbers on the distance display not quite lining up. Does the service history match with the miles on the clock? For instance, if the timing belt needs a change every 60K and the notes say there have been 3 changes you are looking for a minimum of 180K miles. Significantly less and you may have a problem on your hands. Another common trick pulled by the dealers is simply over-inflating the tyres of a vehicle to give it a better on-the-road ride. This can solve problems with the responsiveness of the vehicle and as less of the tyre meets the road there can even be a boost to fuel economy. 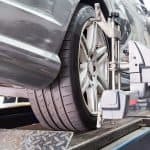 However, with less tyre on the road the vehicle will be more inclined to lose traction, slip and in a worst-case scenario the driver could even fail to properly control the car. Buy a small pocket air gauge that allows you to check tyre pressure. With the advent of mobile phones and 4G technology, you should be able to quickly find the required tyre pressure of any vehicle on the web. 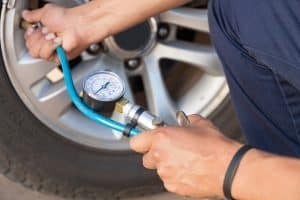 Use the gauge to reject a car that doesn’t meet the criteria as it is likely that the over-inflated tyres hide a multitude of other problems. Everyone knows the function of dashboard lights. Illumination is a sure sign of a problem. If a light isn’t working however, it might not necessarily mean that there is no fault. Especially if an unscrupulous dealer has used black marker pen or a touch of incredibly well-placed black tape to obscure the lights. Use the light on your smartphone or a torch to inspect all the lights in the dashboard. Under the harsh bright unfiltered glare of pure white light dark patches will appear like a different colour or there will be a different finish – be it matt or sheen. 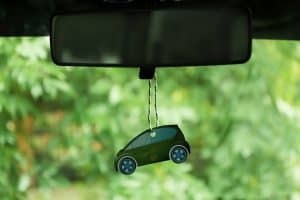 One or more new air fresheners stinking out the car with a chemical hue could well be a perfumed smokescreen capable of hiding water damage. Rot in the carpets and the interior seats can create a real reek throughout a vehicle and may indicate mould problems, which are not good for people with breathing problems such as asthma. If you get a whiff of a sweet smell when driving, then this is often an indicator of a burned out clutch and is one to completely avoid. Check for signs of flood damage such as water and liquid stains on the seats and carpets. Discolouration is often a good sign and if you want to be sure then you can always get up close and personal with the seats and carpet and give them a good sniff. Some engine problems only manifest when you’re starting the car. If the seller has already started the car when you arrive then it’s good to be suspicious. One sign you won’t see is blue smoke coming from the exhaust, which indicates a problem with the oil fuel mix in the car and usually spells expensive repairs. Ask to see the vehicle go through a start from cold. 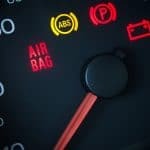 If this isn’t possible or the seller only wants to stop and start the engine with a brief moment of rest, then tell them you want to come back and see the car stationary and start it yourself. If on your return the car feels warm or has been started again, then don’t purchase. This one isn’t cheeky. It’s downright dangerous. When two cars of the same make and model get wrecked – one from the front and one from the rear – certain crooks can use the remaining parts to make a single working vehicle. This process is known as a ‘cut and shut’ and creates a very weak vehicle that will not protect you in a crash on the road. Check that the car’s panels line up correctly and there are no bumps or irregularities between the front and the back of the car. Peal back the window seals, look under the seats and check inside the petrol cap. Do anything you can to ensure that the paint colour matches throughout the vehicle as this can be an indicator of a cut and shut. Be pedantic. Take a small magnet with you and run it over any suspicious marks or slight bumps in the bodywork. If the magnet doesn’t stick then this is a sign of filler, which may mean the car has been in a serious collision. Any of these signs could indicate that the car has been in a serious collision or crash. As seasoned sellers say – a car is never the same after a prang. And even if the car is not a cut and shut this could be a sign of serious damage to the chassis. Take any car you’re thinking of buying on a test drive. Does the seller try to distract you with loud music on the radio or singing and shouting every time you go over a bump? Coughing, talking loudly and even eating crunchy food could be a smokescreen to stop you hearing knocks and rattles. This one’s simple. Tell the seller to shut up. Be quiet. 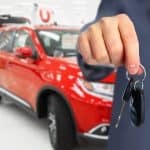 Turn down the radio and if they fail to do so, especially if they’re rattling out the incessant sales patter, then park the whole notion of buying the vehicle. Some signs you simply cannot hide. We’re talking major damage and rust to the bodywork, cracked headlights and worn tyres. Some sellers will try anything, such as parking a vehicle very close to a wall or at a creative angle that prevents you getting full visibility on the vehicle. They may even stand in front of the car and not move until you get in the driver’s seat. Drive the car. Park it up. Without warning get up and go around the car and use your powers of observation to perform a full 360-degree inspection. You will quickly spot any problems or faults. You spot a fault. The seller graciously acknowledges your observations and tells you that they will get the problems sorted out for you. Hell, they might even offer to reduce the costs too and if you come back in a week’s time the issue will be gone. We’d advise you not to trust someone in such a situation. The honest money gets the fault fixed before hawking the car around in the papers and online ads. Avoid. Try to only buy cars from people you know or at least someone who has been vouched for by a good friend. With the proliferation of communication mediums available it is incredibly easy to meet the wrong person. Firstly, finding another car these days is a hell of a lot easier than finding a good husband or girlfriend. You simply walk away and consider one of the thousands of other cars in your local area for sale. Do not get married to any single vehicle – you might think you’ll be the daddy when you ride around town or that the space will be great for the kids. This won’t be the case if your new second-hand ride sits by the side of the road spewing out black smoke as you stand, humiliated, waiting for the AA. 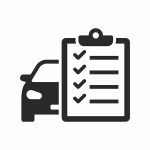 If you absolutely must purchase a car then get a mechanic mate or even pay for a professional to come down and perform a full assessment. Do an HPI check and give yourself every opportunity to find out if anything’s wrong. And most importantly do not discard expert advice. If you discover a fault, then don’t kid yourself that it might not turn out to be that bad. It pretty much always disappoints. Get the search right however and when you find the right car that ticks all the boxes you’ll be doubly happy that you have a good ride on the road. This entry was posted in Cars and tagged dodgy sellers, dodgy selling tricks on 11 January, 2018 by Justin Smith.